What do Singaporeans want for our public transport? Simple: no breakdowns, less waiting and for buses and trains to not be packed like sardines. 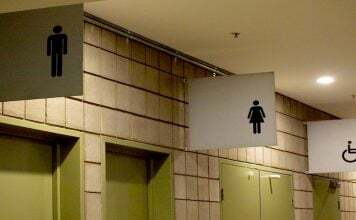 However, that might be something almost impossible to achieve, so the relevant authorities have decided to compensate by giving commuters other “perks” instead. We thought we’d give the authorities some credit for attempting to make “improvements” to our daily commute, so here are five transport initiatives made with good intentions, but which sadly missed the point. On Thursday (Dec 29), EZ-Link announced that EZ-link card readers have been built into digital screens at 10 bus shelters on Orchard Road. They will be able read cards’ balance and expiry date – and that’s it. Users will not be able to top up their cards there, only at one of those top-up machines, mostly found at MRT stations. So what is their purpose? 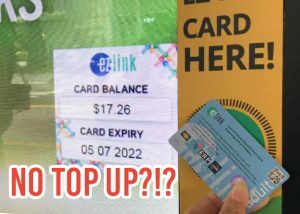 EZ-Link CEO Nicholas Lee said the readers will help commuters “ease anxiety” about having insufficient value in their cards, and save them from trips to the ticketing machines. But if we have insufficient value in our cards, wouldn’t we have to make a trip to a ticketing machine to top them up anyway? 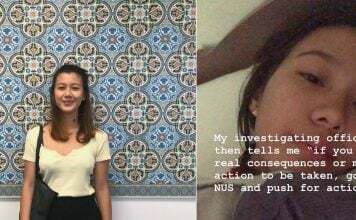 We’re not sure if anyone has actually gotten anxiety attacks after finding out their EZ-Link cards have insufficient value, but we think being able to top up their cards after finding out they have insufficient value would help ease that anxiety a lot. 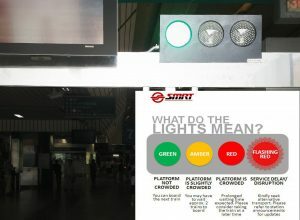 The purpose of the “traffic light” system, announced by SMRT in 2014, is to tell commuters how crowded train platforms are – as they are already walking into the station. While we understand how this system could potentially be useful to some commuters, we fail to see how it would really benefit people on their way to work. So if the platform is crowded, can we just turn around and go home? Call our boss and call in “red light”? We doubt MRT users don’t have eyes to see that a crowded platform is crowded; if we had faster or cheaper means of transport, we would already be taking them. 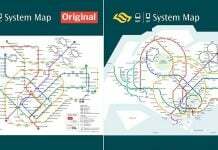 You tried, SMRT, you tried. 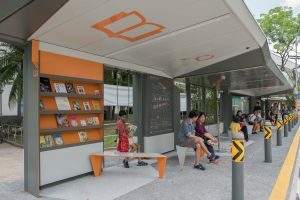 This bus stop in Jurong Gateway Road is like a home away from home. It comes equipped with a phone charging station, free Wi-Fi, book exchange corner and even a swing. There are also digital information boards that provide handy weather and street directory services. 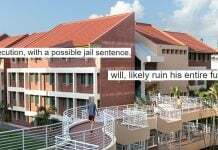 It’s part of a collaboration between DP Architects and the Urban Redevelopment Authority. However, we think that if you are making use of these admittedly useful facilities at a bus stop, you’re spending too long waiting for your bus. Most commuters would prefer to actually get on their bus as soon as possible, and not spend so much time waiting for it that they can make use of free Wi-Fi – it’s a bus stop, not a Starbucks or public library. While we’re at it, might as throw in a cinema and massage services too. Also, we would be surprised if the books aren’t pilfered after a few days – either that or rendered unreadable by rainwater, dust and dirt. The first time we chanced upon a busker on an MRT station platform, we wondered whether the police would be coming after them soon. 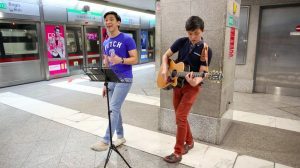 Turns out that it was, under a Land Transport Authority (LTA) initiative that gave buskers an opportunity to perform on train platforms. 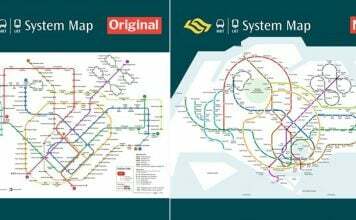 The LTA has said it hopes to “create a more pleasant public transport experience”, as well as allow local performers to showcase their talents – goals to be applauded, provided one prefers to listen to ‘live’ music while jostling for space to get into the train. These buskers might not shorten our waiting / travelling time, but at least they may make us slow down to appreciate their music. Who remembers comedy reality show Just For Laughs playing repeatedly on those miniature screens in buses? We certainly do. TVMobile was set up with the best of intentions — infotainment for commuters. We fondly remember watching football matches, and even the 2002 World Cup, being aired on screen. 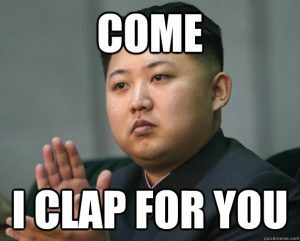 Amid the mania were reports of people missing their stops and refusing to get off at interchanges during penalty kicks! 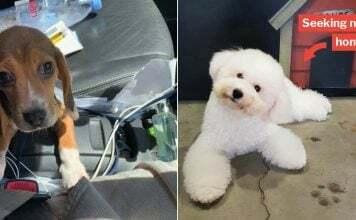 While some enjoyed the on-board entertainment, others didn’t; claiming the noise was disruptive and the shows were too repetitive. 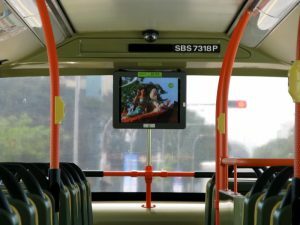 On Jan 2010, TV Mobile was discontinued, and soon after, bus commuters had a new form of technology to occupy themselves on bus rides – their smartphones. Don’t get us wrong, as we’re appreciative of these frills that aim to make our public transport experience better. 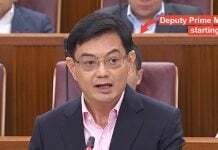 But we also look forward to public money being put to better use by making our rides more reliable and actually shortening our travel time – that would the best New Year’s gift for all Singaporeans!